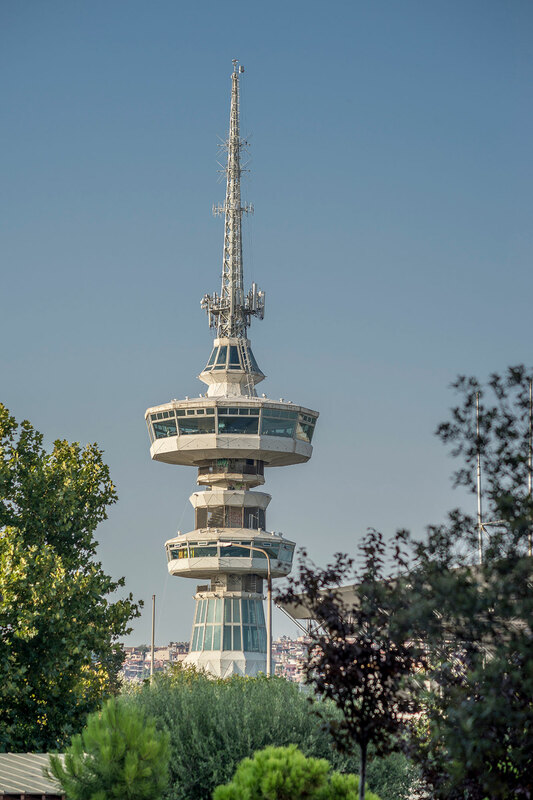 In the heart of Thessaloniki, by the Southern gate of of the International Exhibition & Congress Centre of TIF HELEXPO, one of the most significant sights of the city, the OTE Tower stands 76 metres tall, showcasing its innovative architecture and breathtaking 360 panoramic view. 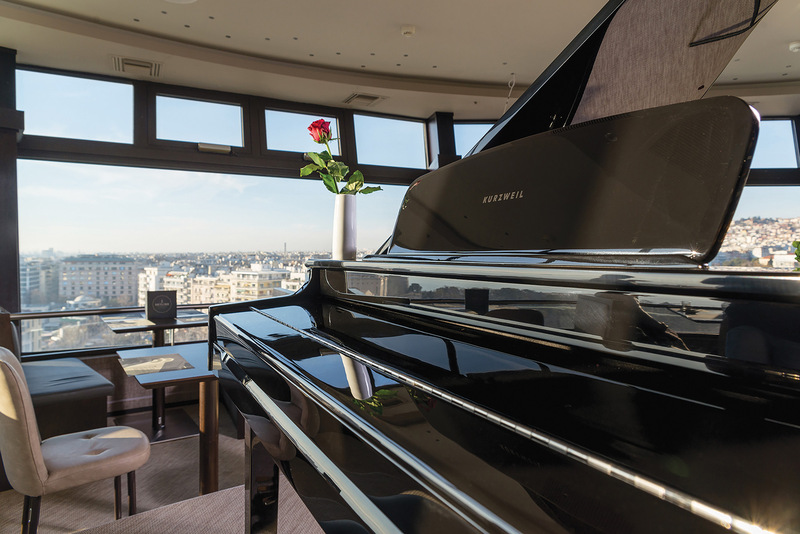 On the third top floor of the Tower, the only one with a revolving level in Greece, you may let your senses be ignited and wander over Thessaloniki, away from the noisy city life. 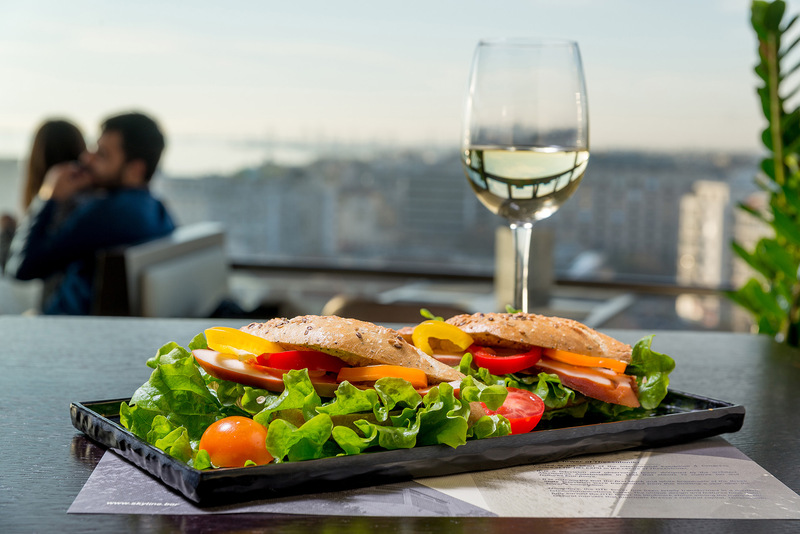 The recently renovated Skyline Cafe/Bar welcomes you for a moment of relaxation and discrete luxury in a contemporary setting where the clean lines and the finesse complement the majestic panoramic view delivering the whole city at your feet. The Café-Bar is open all day long from morning to evening and is easily accessible by just about every method of transportation. Every time you visit Skyline Café-Bar, the experience takes your breath away with the promise to elevate your mood once again even higher. 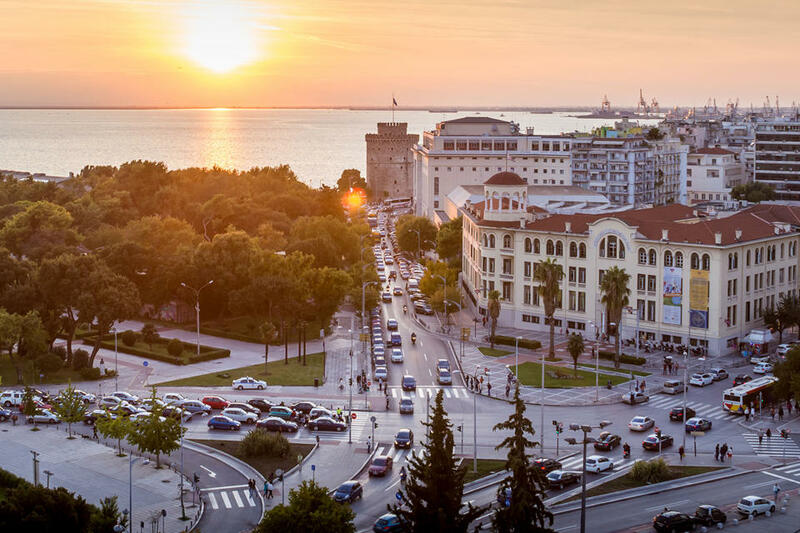 What better way to savour Thessaloniki than from this vantage point: a window seat at the revolving Skyline Café-Bar with the shifting views complementing your coffee along with the delicious pastries and mouth-watering snacks for an unforgettable breakfast. While the sun sets, you can relax away from the buzzing city centre in a stylish décor enjoying the spectacular romantic sunset with a soft drink or why not elevate your experience further by exploring our comprehensive wine list and delectable pairing dishes. Fancy an experience like no other for your night out in Thessaloniki? Where the horizon and the city lights come together in a magical interplay…Discover Skyline Café-Bar. In a sleek and friendly background our professional staff is waiting to provide you with a top-rated spin you will never forget. Explore our comprehensive wine list or try a refreshingly superb cocktail and have fun with different point of view the Skyline’s privileged location offers.